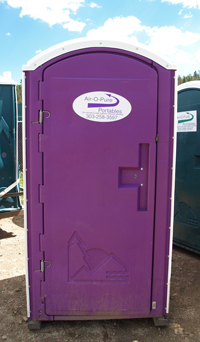 This women owned business can provide secure storage and sanitation services for construction and special events across the Front Range of Boulder, Gilpin, Clear Creek, and Jefferson counties. Special event quotes for other areas are available upon request. Weekly 4 x 4 service is provided to construction restrooms with trailers available for limited access areas. We can assist with dumpster and hauling arrangements in many areas. On site services, luxury facility trailers, and specialty units available.